President Donald Trump Tuesday approved California’s request for a presidential major disaster declaration in response to recent wildfires in the state, including those in San Diego, Los Angeles, Ventura and Santa Barbara counties. Gov. Jerry Brown sent Trump a letter last month requesting the declaration to aid in recovery efforts. According to the White House, the presidential declaration will free up federal funding for areas affected by wildfires that began Dec. 4. Brown previously issued a state emergency declaration on Dec. 5 in Los Angeles and Ventura counties and on Dec. 7 in San Diego and Santa Barbara counties. Trump issued a federal emergency declaration Dec. 8 authorizing the Federal Emergency Management Agency and other federal agencies to help respond to the wildfires. 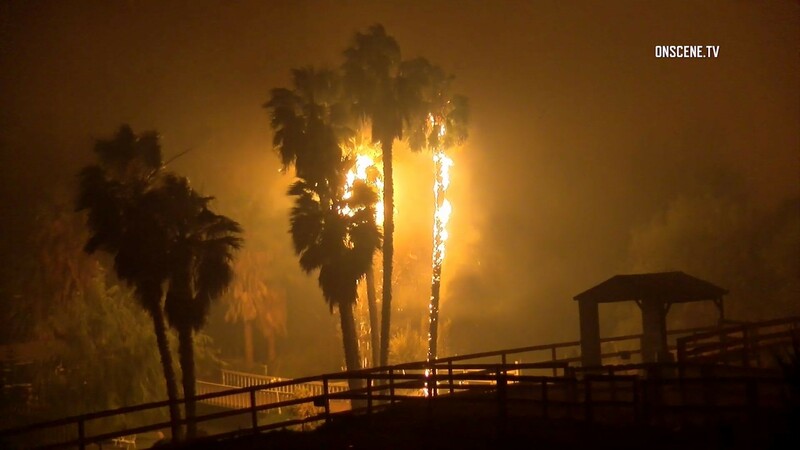 At the time, the Thomas Fire in Ventura County, the Lilac Fire near Fallbrook in San Diego County and a trio of fires in Los Angeles County were still burning. California’s two Democratic senators, Kamala Harris and Dianne Feinstein, sent Trump a joint letter supporting Brown’s request. The senators noted that two people have died as a result of the Thomas Fire in Ventura County, including one firefighter — San Diego-based Cal Fire engineer Cory Iverson. The governor said federal funds will go in part toward removing large amounts of debris to eliminate the threat to public health and safety. “Prompt removal of the debris is also necessary to enable community rebuilding and economic recovery of impacted communities,” Brown wrote. Federal funds will also go toward helping those whom state officials expect will be left homeless or displaced for an extended period of time. Brown requested the major disaster declaration for San Diego, Los Angeles, Santa Barbara and Ventura counties, specifically requesting help from federal disaster-relief programs focused on housing and temporary shelters, unemployment assistance, crisis counseling, legal services and hazard mitigation services. In Los Angeles County, the Creek Fire near Sylmar scorched more than 15,600 acres, the Skirball Fire in the Sepulveda Pass burned about 422 acres and the Rye Fire near Santa Clarita blackened more than 6,000 acres. The Lilac Fire near Bonsall between Fallbrook and Oceanside scorched 4,100 acres and destroyed or damaged more than 200 buildings.